I had a few bananas and so I decided I would treat my family to some banana bread. The one on the right has chocolate chips and the one on the left has raisins and sunflower seeds. I had signed up for Kathy Shaw's free silk ribbon embroidery class and although I am one of the last to begin the course, I am slowly moving on it. 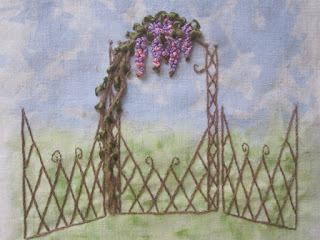 After the initial painting of the background and embroidering the trellis, I am finally making some silk ribbon flowers. They really are a lot of fun and so pretty. On a personal, family note, way back in 1982 on this day, I gave birth to my fourth child and second son, Eric. Beautiful embroidery Dolores, such fine stitching. Love the ribbon embroidery; very elegant. Happy Birthday to Eric. 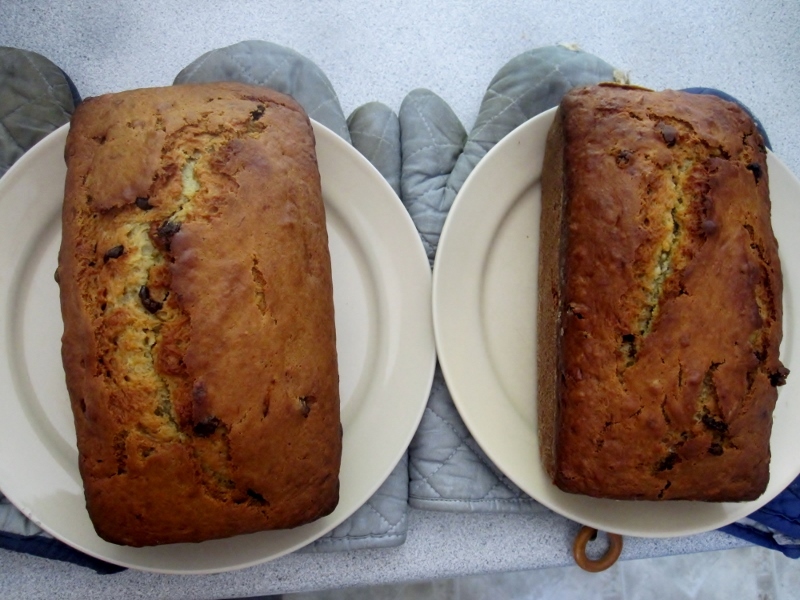 I've been getting creative with over ripe bananas lately. You can make great instant ice cream with them if you freeze them, then blitz them in a food processor with a bit of cream!